These like moist areas of rich black loamy soil. Notice how much simpler the leaf form is on these compared to Marginal Wood Fern? On the degrees of frond dissection these are much less cut. They are "pinnately" divided and the edges of the leaves are "smooth" instead of toothed. These have only ruffles down the leaf sides. 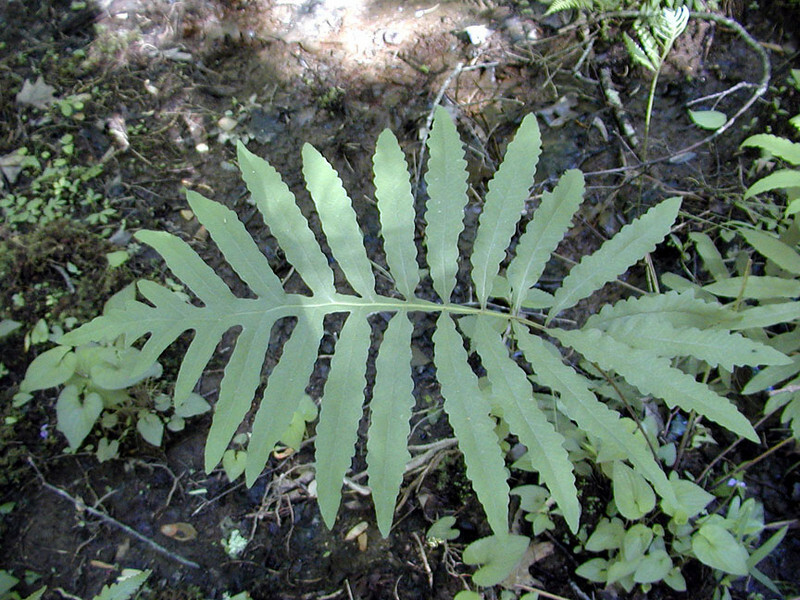 This is another way ferns are ID'd. This one is along Little Brier Gap Trail. These can grow to be huge.